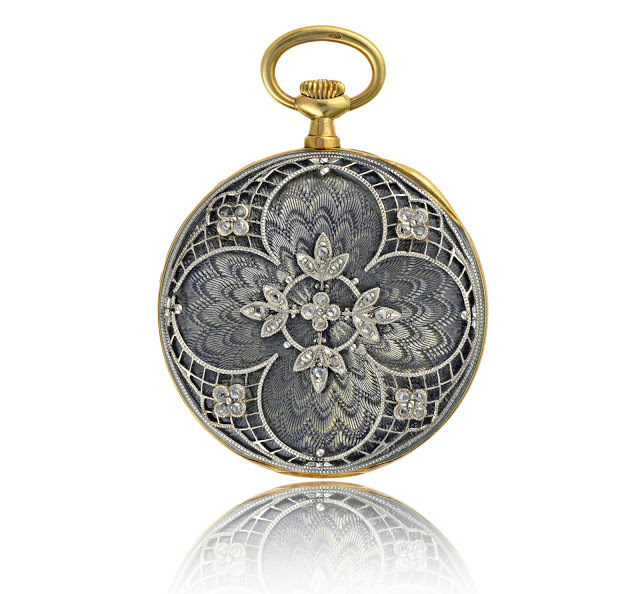 Voyage & Ornaments is a thematic exhibition dedicated to historic timepieces decorated with artisanal crafts, ranging from enamelling to engraving, that has just opened in Singapore. The diversity of Vacheron Constantin‘s decorative timepieces across time and geography are demonstrated by the 14 vintage watches on display for Voyage & Ornaments in the Heritage Room of the Vacheron Constantin boutique at ION Orchard in Singapore. 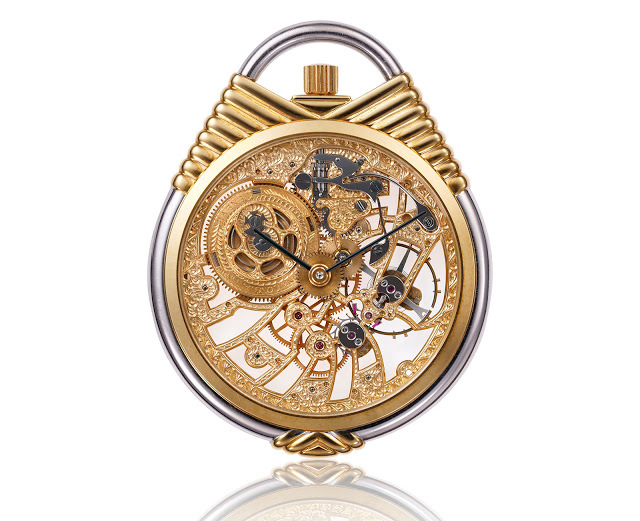 Arranged according to four themes – the East, Greece, Europe and skeletons – the timepieces illustrate the various techniques that have been used to adorn watches for centuries. 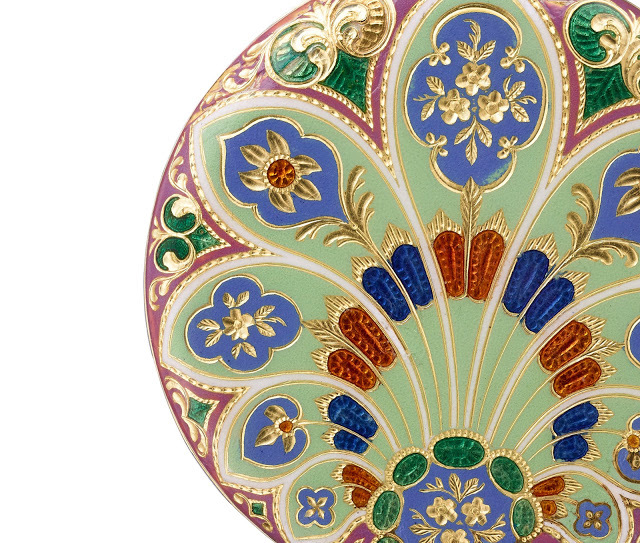 One of the oldest pieces in the exhibition dates from 1831, a yellow gold pocket watch covered with richly coloured champlevé enamel in an Indian motif (below). And dating from over a century later is a Roaring Twenties pocket watch in white gold with open-worked German silver bridges, suspended in rock crystal with an Art Deco enamelled chapter ring (shown above). These timepieces illustrate not just Vacheron Constantin’s history, but also echo the present, a reminder of the brand’s Metier d’Art watches like the recently launched Métiers d’Art Florilège. Voyages & Ornaments is open to the public from August 20 to September 30, 2015, at Vacheron Constantin’s boutique located at #02-07 ION Orchard, 2 Orchard Turn.